A new face in Hesston College’s Music Department will bring new opportunities and ideas to the college and an already thriving performing arts department, as well as to the wider community. Mei Li, D.M.A., joined the Hesston College community just a few weeks ago at the start of the school year as an adjunct piano instructor, and it seems to be a mutually beneficial employment match. With a Doctor of Musical Arts degree newly minted from the University of Kansas School of Music (Lawrence) in May 2018, Li brings to Hesston a high-level of piano instruction for students of all ages and levels, and a passion for piano pedagogy. The connections Li brings with her also fit the global engagement focus that is coming increasingly to the forefront at Hesston. Born and raised in China, Li began studying piano at five years old with the renowned Chinese piano pedagogue, Zhaoyi Dan. After earning a bachelor’s degree in piano performance from Sichuan Conservatory of Music and working as a teaching assistant for Professor Dan for four years, Li came to the United States in 2006 with a full scholarship to study at Northern Illinois University (NIU, DeKalb) under Dr. William Goldenberg. She earned a performance certificate and a master’s degree piano performance from NIU. Li has already begun conversations with connections in China about the possibility of bringing students to Hesston to study. Also on the international front, besides performing in concert halls around the world, Li is a co-founder of the Chicago International Music Competition and Festival, which held its inaugural event in July 2018 with 70 participants from all over the world. She will put that festival event planning experience to work in her new role as well, as she helps to plan the Hesston College Keyboard Competition: A Festival of Baroque Music slated for February 23, 2019. The festival and competition will be open to young pianists in the south central Kansas region. 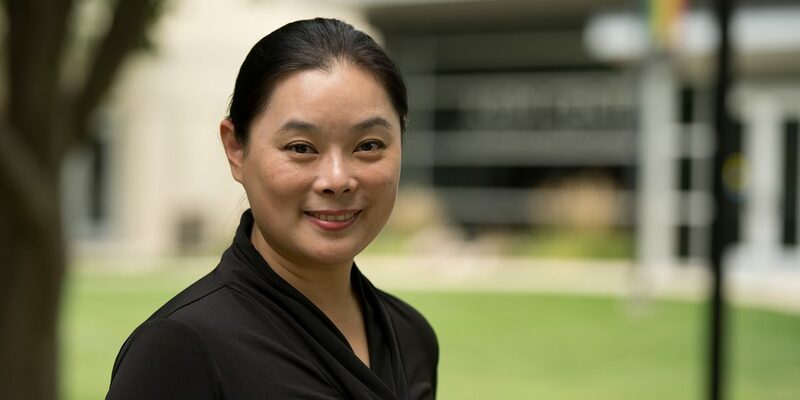 As Li acclimates to her new role, she looks forward to connecting with the campus and wider communities to share her professional work, skills and more. Li still currently resides in Lawrence and the time she spends in Hesston each week is limited to the day or two per week she teaches a class, but she is excited to connect with budding pianists in the area. She welcomes any interested students from the community or college to contact her at mei.li@hesston.edu.